As a leading luxury men’s grooming brand, The Art of Shaving aims to induct discerning male consumers into the “Brotherhood of Shaving”; a mission to help men achieve The Perfect Shave by elevating it from a chore into an enjoyable ritual. Inspired by the professional training and classic heritage of traditional men’s barber services, The Art of Shaving is positioned to become a prestige leader in the $43 billion dollar male grooming industry which is growing at a faster rate than the female beauty business. What started from one small store in Manhattan has evolved into an extensive collection of male-focused luxury retail shops across the country – over half of which boast Barber Spas; a unique masculine service concept that combines traditional barber services with essential oil facial treatments. By April 2013 the company was operating over 100 locations nationwide. 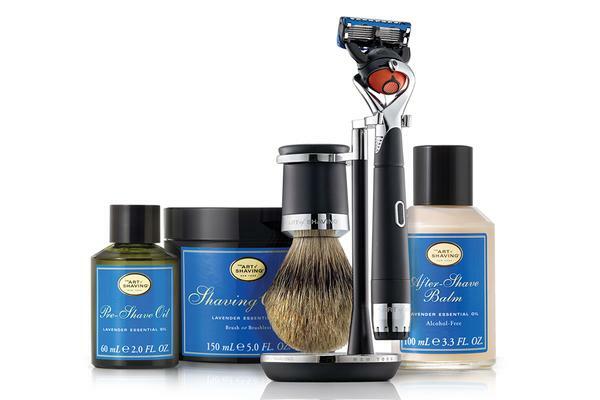 The Art of Shaving is considered the world’s leading premium shaving brand with its essential oil based grooming products, high-end shaving instruments, and a retail chain dedicated to men’s shaving. The brand has created a revolution in men’s grooming with The 4 Elements of the Perfect Shave®, a trademarked wet-shaving regimen that centers on the methodology: Prepare, Lather Up!, Shave, and Moisturize. The Art of Shaving has added to their line of classic products and accessories with the highly anticipated launch of The Ocean Kelp and Power Shave collections. In addition to its signature products, The Art of Shaving offers a comprehensive range of premium shaving products and accessories including razors, brushes, tools and accessories. FAO Schwarz will close early at 5pm on Christmas Eve, New Year's Eve, and New Year's Day, and will be closed on Christmas Day, Tuesday, December 25. Frederick August Otto Schwarz dreamed of a marvelous bountiful emporium full of extraordinary, one-of-a-kind toys from all over the world. In 1862 that dream became a reality and FAO Schwarz has been capturing the imaginations of countless generations since. 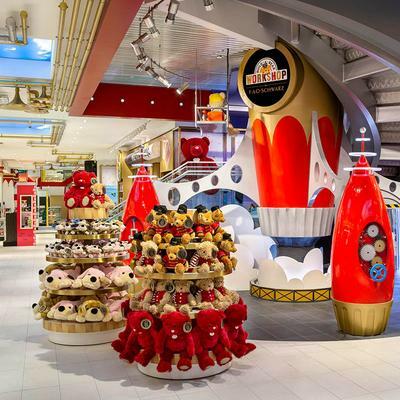 More than just a toy store, a trip to FAO Schwarz was always a magical and cherished journey through the very heart of childhood, where toys came to life and laughter was the language of young and old alike. The oldest toy store retailer in the United States opens its flagship on three levels next to the iconic Rockefeller Center Christmas Tree - the perfect location for this timeless brand.